Register for international individual/team insurance by clicking HERE, then follow the prompts through our online registration portal. If you are not sure how this process works, please click here to watch a video tutorial. Before beginning the process through the online portal, each Team Leader will need departure and return dates, the full name as it appears on their passport, date of birth and email address for all Team Members. If you have questions, please call the office at 205-453-9480 while you are in the process and we will be happy to assist you. The online portal will not log you off due to inactivity during the process, but it will not save your progress if you quit. If your team is purchasing insurance, please refer to the information below. If traveling internationally, each member must pay a $17 processing fee. If traveling to a US Territory such as Puerto Rico, each member must pay a $12 processing fee. There is no fee for registration only (which you can do for Certificates of Appreciation). 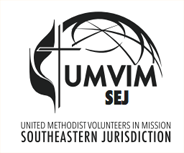 Cancellation Policy: UMVIM, SEJ will only refund the insurance cost for any team member cancellations not processing fees. For all information about our insurance, please CLICK HERE to visit our FAQ page.